The Karahawk is an evolved folding version of the Southeast Asian karambit. Its VG-10 steel hawkbill blade is outfitted with Emerson's patented Wave Opening Feature along with a thumb hole, so opening is simple and fast. 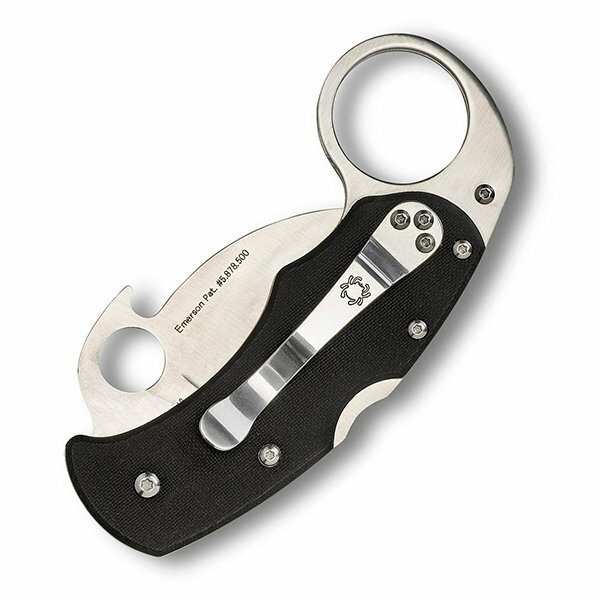 The black G-10 handle has stainless steel liners and a strong back lock mechanism. The Karahawk has a reversible tip-up carry pocket clip. 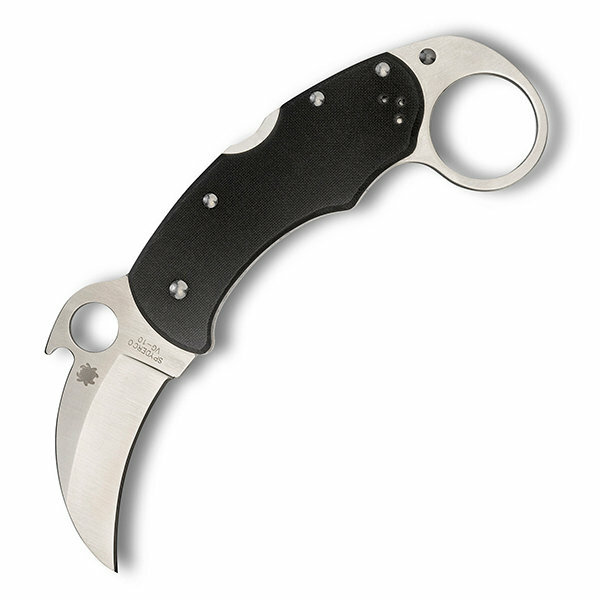 The handle features a ring at the back end to facilitate traditional karambit manipulation techniques and is sized to keep the knife compact and easy to carry.